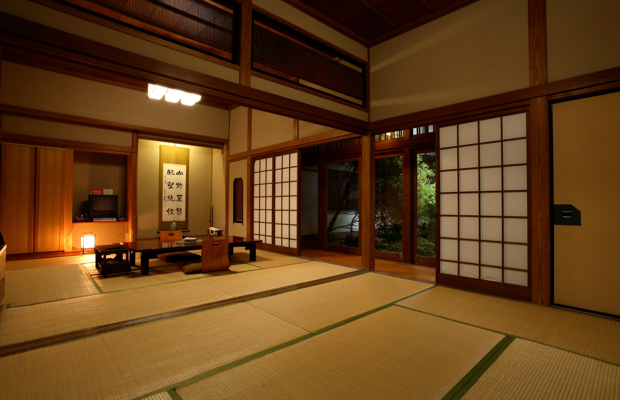 The Naigosho has two VIP rooms: “Kobai,” which has a deck-terrace adjacent to beautiful, dark green foliage, and “Shiragiku,” which faces the Japanese garden. 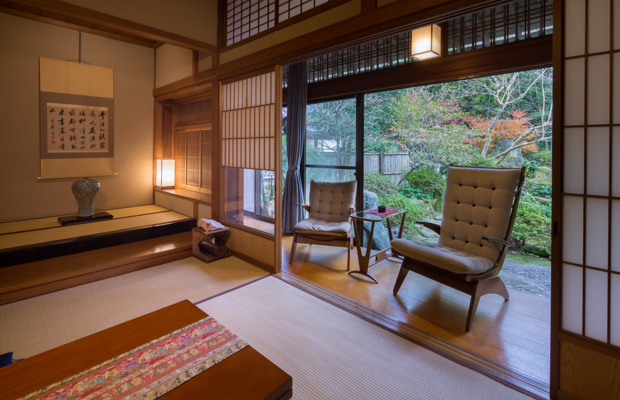 In these rooms, you can relax amidst the natural beauty of Mifuneyama; the silence is a pleasant music that heals the spirit, while the singing of the birds in the morning is very calming and soothing. The Naigosho was built to be the villa of Lord Naohiro Nabeshima, the 11th daimyo of Saga Domain, and the style of the building testifies to the traditions of the Nabeshima clan. 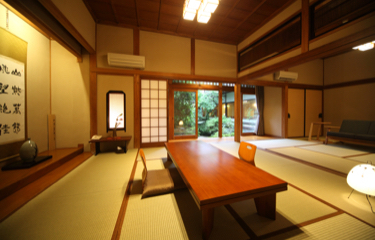 Because there was originally an office for managing the villa, the villa is generally called “Naigosho.” The villa, still in its original form, was moved to Mifuneyama, where it is now used by the hotel’s guests.